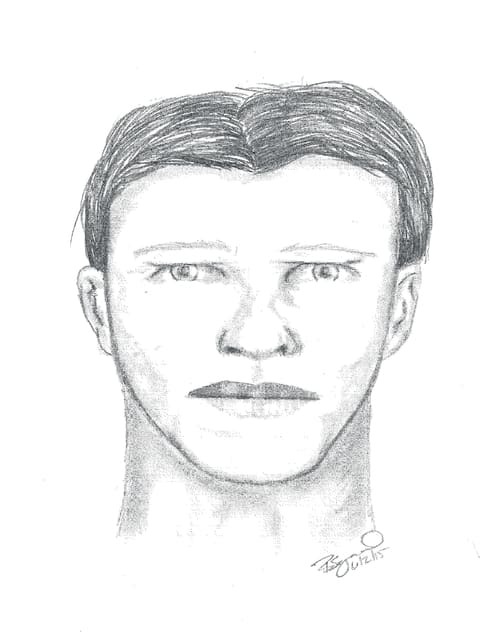 A composite sketch of the man police believe committed the May 31 sexual assault on the bike path. The girl described the attacker as a white male, about 5-foot-8 with a medium build, brown hair and some stubble on his face, and tattoos on both arms. He was wearing a T-shirt and jeans. Police are still investigating a sexual assault on Delaware’s bike path that occurred at the end of last month. Police said the detective division continues to investigate leads that have come into the police department based on a sketch that was released. An arrest has not been made in the case. A 17-year-old girl from Prospect, Ohio, said she was assaulted by a stranger on the bike path — near where the path crosses U.S. 23 and River Street on the east side of the Olentangy River — about 5:30 p.m. May 31, police said. The girl told police a man ripped her clothes and touched her inappropriately. The girl described the attacker as a white male, about 5-foot-8 with a medium build, brown hair with some stubble on his face, and tattoos on both arms. He was wearing a T-shirt and jeans. Police developed a sketch of the man based on the victim’s description. Police are still urging anyone with information regarding the incident to call 740-203-1111. Two days after the assault, an unrelated incident — a fight between two males — occurred on the bike path between East Winter Street and East William Street. Josef Andrew Hutchinson, 18, of Delaware was transported to OSU Wexner Medical Center with serious injuries and was admitted for one day. The other male, a 16-year-old, was charged with felonious assault and appeared in Delaware County Juvenile Court for an arraignment June 10. Juvenile Court officials say the boy is currently home under house arrest with an ankle monitor, awaiting a second pretrial hearing on July 8. Police added patrols to the bike path shortly after the attacks and said that no incidents have occurred since the fight. “This incident remains isolated and officers continue to monitor the bike paths throughout the city as they conduct their patrols,” said Police Capt. Adam Moore.